The BEQUAL Program is proud to work with NGOs namely Plan International, World Vision, Save the Children and ChildFund Laos since 2015 as BEQUAL NGOs Consortium (BNC). The BNC is working to deliver activities that ensure all children, particularly girls and children with disabilities, in target schools in remote and rural locations, enrol in and complete a quality primary education, supported by their parents and communities. 27th February is World Non-Government Organisation (NGO) Day. Each year, this date is celebrated by communities, leaders, diplomats, and many organisations around the world, acknowledging and promoting the important work of these organisations. NGOs play an enormous role in developing countries, particularly for women and women’s economic, social and political advancement. They do more than just ‘fill a gap’, they aim to build capacity and strengthen society, armed with local knowledge and diverse skills. The Basic Education Quality and Access in Lao PDR (BEQUAL) program, led by Ministry of Education and Sports of Lao PDR with support from the Australian Government and the European Union, works with a number of NGOs to improve education outcomes for disadvantaged children, particularly girls. As part of the overall BEQUAL program, BEQUAL NGO Consortium (BNC) delivers access and participation activities for disadvantaged children in remote locations through NGOs. BNC also supports District Education and Sports Bureaus and Village Education Development Committees to promote participation and access to quality primary education. The BNC delivers activities that ensure all children, particularly girls and children with disabilities, in target schools in remote and rural locations, enrol in and complete a quality primary education, supported by their parents and communities. The BNC consists of Plan International, World Vision, Save the Children and ChildFund Laos, whose activities increase participation of disadvantaged children in basic education. They operate in six districts in four provinces, Houaphan, Khammouane, Oudomxay and Luang Prabang, targeting 171 primary schools and reaching 19,000 children. Their priorities are to ensure inclusion and non-discrimination, hygiene awareness and a supportive home and community environment for education. To achieve this they implement a wide range of activities, including but not limited to providing gender-sensitive reading materials to 171 schools, establishing book banks and learning corners, a ‘reading buddies’ program, and a Lao language and school readiness course as informed by new curriculum. To support inclusion and hygiene awareness, the BNC has piloted an inclusive participation model in 22 schools for children with disability to enrol and attend school, and handwashing stations and hygiene awareness training in 171 schools. 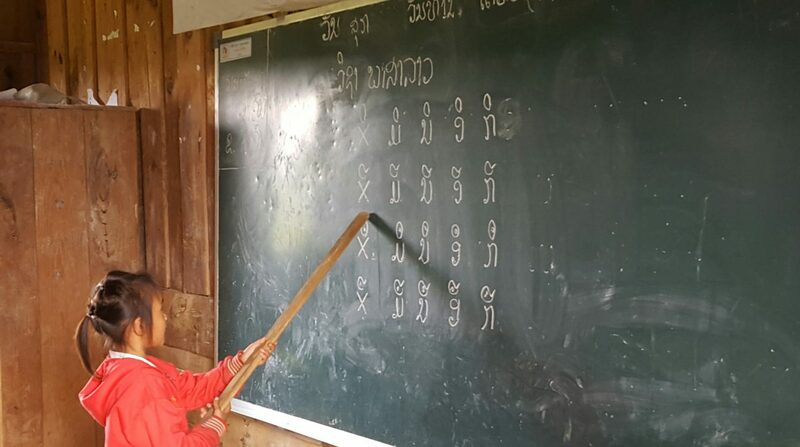 Recently the BNC collaborated with the Lao Government and communities to provide small grants of up to 4,000,000 KIP in 171 remote villages to help more children attend school and achieve a quality education. You can watch a video about this here.